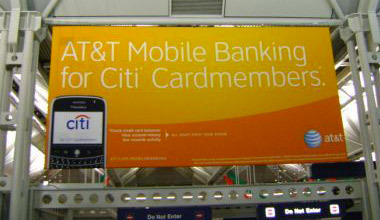 Whether one store, or 100 we have you covered for graphic installation. New Image Technologies project management expertise is what ensures your installation will be a success. We act as an extension of your company; managing complex logistics, meeting tight deadlines, and being part of your team throughout the project, all while staying within your budget. We prepare all necessary documents, applications, drawings and are involved in all relevant installation meetings to make sure your project happens just the way you envisioned. NIT adds graphic wraps to cars, trucks, vans, sprinters, race cars, buses, trains and any other item you can think to wrap. We can wrap a fleet, onsite at your company to save you time and staff allocation, while creating a standout look to promote your company. Through New Image, there is an advanced fleet of equipment at the ready to guarantee your signs and graphics are installed to your exact specifications. Whether large or small, we are equipped with the latest in installation technology for every type of graphic, from banners to vinyl or concrete to backlit signage. Window wraps and graphics are great for street advertising, branding and sales promotion. From corporate offices and opaque privacy screening, to retail display windows; we can manage and install any window graphics. 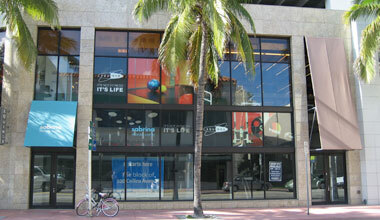 Graphics added to windows can be a great place for advertising or promoting a new product or service. They can also be used as window coverings. 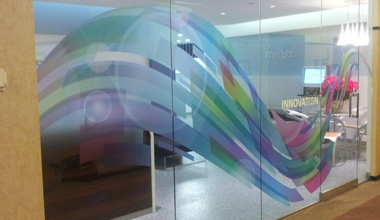 We can install semi-transparent window graphics, opaque window graphics and frosted windows. Display graphics are everywhere. Some examples of graphic installations can be hanging banners, retail advertising stand-ups, billboard sized graphics, trade show booths and more. Let us help your company, brand or service get the attention it deserves with our industry leading visual graphic displays. 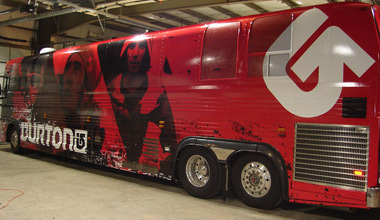 NIT wraps trains, semis, buses and trailers in graphics. Our facility has the capability of housing full 53 foot trailers in a warm and secure environment as they get wrapped in graphics. We also do onsite fleet graphics at your facilities to save on employee time and travel. Interior walls can be covered like wallpaper with our graphics. 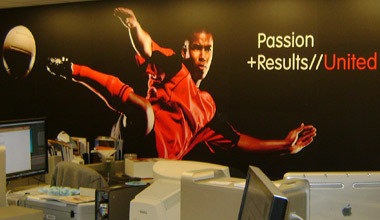 Unlike wallpaper, our wall graphics are completely custom and can be easily removed. Cover your business or home walls with artwork, ads, promotions, motivation and more. The staff at NIT are veterans when it comes to working in retail environments and have extensive experience executing projects all over the world for large and small retailers. 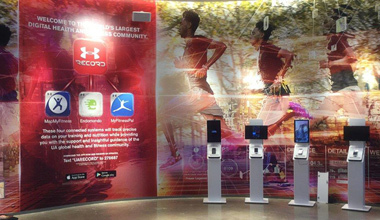 From exterior graphics, to point of purchase imagery, we are the retail graphic installation experts to call. Barricades don't have to be just plywood and a no trespassing sign. 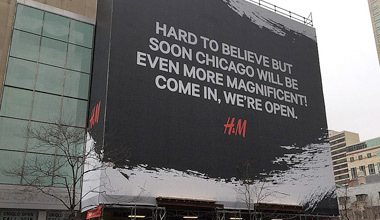 Graphics wraps on a barricade not only enhance the appearance but also can advertise and inform people about what might be "coming soon" or where they can learn more about the barricaded project. 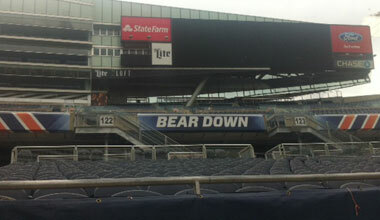 Make your venue look as impressive as the players on the field. We work with some of the nations largest stadiums and events to transform their spaces into spectacular representations that promote and improve the fan experience. We provide everything to complete your project successfully, including pre-installation site surveys, field coordination, reporting and management, permitting and fabrication assistance. Does your business need something wrapped and not sure if it can be done? Do you have an artistic idea that doesn't seem possible? 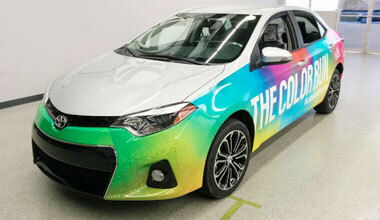 New Image Technologies has done numerous custom wraps. 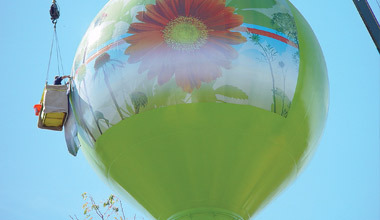 We have wrapped water towers, bridges, staircases, walkways and even covered an entire block in graphic wrap (and we mean everything: bicycles, light poles, etc.). 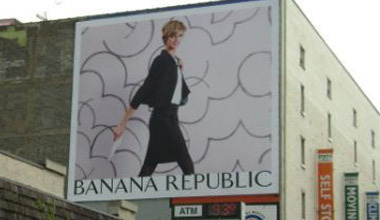 Does your building or business have unwanted graphics left from previous tenants or past installations? 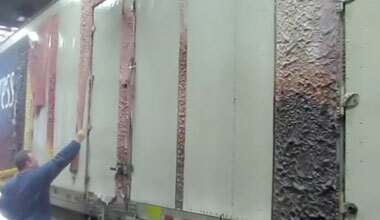 Not only are we the best at adding graphics, we are also the best at removing them from anything from fleet trucks to billboards and buildings to semi trailers. New Image Technologies is equally known for our ability to remove graphics.